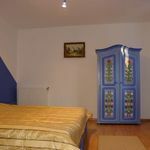 Rooms, services Hotel Sugas Sfântu-Gheorghe is offering 30 comfortable rooms to guests looking for accommodation in Sfântu-Gheorghe. You are more than welcome to take your small pet along for your holiday, for the hotel is pet-friendly. In case you'd like to have a meal or a drink on the spot, you will be provided freshly prepared dishes in the restaurant every day. You may park your vehicle for free in a parking lot available on the spot. In case you'd bring your laptop along, you may go online via wireless Internet connection (WiFi) available at the hotel. The exact scope of services offered by Hotel Sugas Sfântu-Gheorghe (including those for an extra fee) and the exact equipment of a room are available on the information sheet below and on the information sheet of the given rooms. Arrival, opening hours The earliest time to check in at the hotel is 14:00, the latest time to check out is 10:00. You will be able to speak with the personnel in English, Hungarian and Romanian languages. 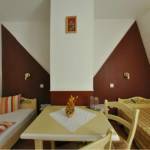 The rating of Hotel Sugas Sfântu-Gheorghe is 9.5 from the maximum 10, 20 based on actual and valid guest ratings and reviews. "O 9 na sniadaniu zostaly same resztki, cale szczescie ze poszlismy o 8.30, (sniadanie jest między 7-10) ok 8.45 nie bylo juz goracej wody do zalewania herbaty. Gdy poprosilismy obsługę o gorącą wodę powiedzieli ze sie skończyła..."
"azt kaptam amire számítottam. a személyzet hozzáállása példa értékű"
"Mindenki beszélt magyarul, rugalmasak voltak (az éjszaka közepén érkeztünk)." Based on the reviews and comments of actual guests, the services of the Hotel Sugas Sfântu-Gheorghe have received a high rating of 9.5/10.